The Birth of a Stereotype. 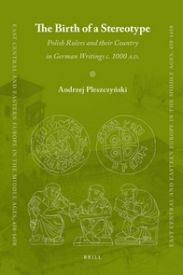 Polish Rulers and their Country in German Writings c. 1000 A.D. In early Medieval Western Europe intellectuals were used to indicate the external location of Slavic countries, as though outside civilization, with the term ‘the North’. The problem did not only concern nomenclature. The stereotype associated with ‘the North’ pointed at the obvious cold weather, but also the primeval nature of the land and people. This study shows the detailed image of Poland created by German authors in the earliest period of existence of the Piast state (963-1034). An important aim of this work was also to identify the wider context of written opinions. Another purpose was to gather information illustrating actions taken by the Polish rulers aimed at creating an image of themselves as civilized men and true Christians.